An unlicensed insurance agent could end up with a prison term of over 100 years if found guilty of all 72 counts of fraudulent activities of which he is accused. George Garcia allegedly stole nearly $50,000 from South Florida homeowners, resulting in his November 2016 arrest. Sixty-nine-year old Garcia, his ex-wife and his companies had been issued a cease and desist order by the Florida Department of Financial Services Division of Investigative and Forensic services in 2014. Ignoring that order, Garcia continued to conduct business in the insurance industry, submitting falsified insurance certificates to various financial institutions in Florida. His intent purportedly was to obtain insurance escrow funds from Florida homeowners. After instructing banks to write checks to his illicit businesses, Garcia ultimately deposited the monies into his personal accounts. Accepting an application on behalf of the agent in the agent’s insurance office. While an unlicensed individual may assist a client in filling in blanks, that individual is not authorized to provide insurance advice, procedural explanations, or policy interpretations. Providing an insurance quote in response to an inquiry using written underwriting materials dealing with rates. Again, it is not permissible to offer advice or interpretations of this information. Accepting premium payments from clients. What Activities are Unlicensed Personnel Banned from? Soliciting insurance in any way. Issues relating to wind mitigation and prior insurance. They were hit with a $100,000 fine and were required to re-examine all policies written within the previous year to determine which needed to be underwritten by a licensed agent. Furthermore, customers had the opportunity to cancel policies without penalty. 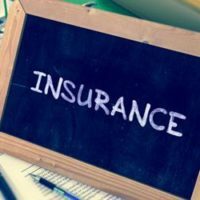 Insurance is serious stuff: misinformation that is provided to a customer through unlicensed individuals has the potential to have serious consequences for that customer. As with any purchase, consumers deserve to know with whom they are dealing and precisely the product they are getting. When fraudulence is a part of the package, you may require the assistance of an experienced insurance attorney. If you have concerns about the way your insurance experience is proceeding, whether it relates to claims, licensing, or insurance company tactics to avoid doing the right thing, you can rely on the experience and ethics at the Law Offices of Robert W. Elton. Contact our Daytona and Ormond Beach offices today for your no-cost, confidential consultation.